Rooms, Suites, Club rooms en-suites with all the comforts and first class standard guaranteed by a worldwide prestigious brand name. WI-FI system in all public area, High Speed Internet access in each room,, gymnasium, gift boutique newspapers/tobacco shop, large parking area, complimentary shuttle bus service to/from historical city center. During the evening it is the perfect place to enjoy some relax accompanied by soft piano music. At Les Arcades restaurant the Chef suggests you a delicious and exquisite Italian, Regional and International cuisine and enogastronomic specialities: Home made pasta and fantasy, Seasonal savours... For your private lunches/dinners up to 80 persons there are our charming restaurant rooms Le Club and Le Jardin. The experience and the professionalism in organizing With 1. 300 sq. mt. 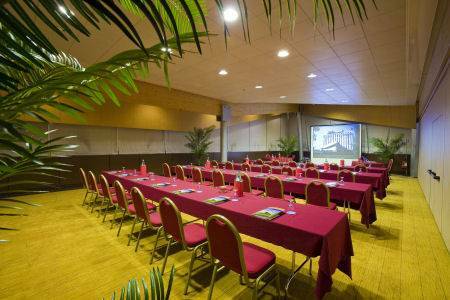 of meeting room space, divided in 15 multifunctional meeting rooms, all equipped with the most modern facilities such as the innovative WI-FI system, we are designed to host the perfect business meeting. The experience and the professionalism of our Staff offer the perfect framework for your special event. You can live unforgettable moment with our theme parties immersing yourself in an absorbed, happy and suggestive atmosphere as in "The Veneto Square" and "The Venetian Market". 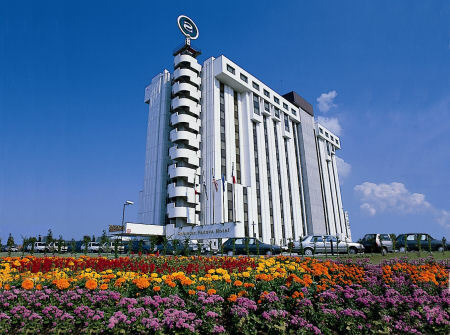 The Sheraton Padova Hotel & Conference Center is located in a strategic position in the center of the most creative, economic and cultural area of Northern East of Italy. The neighbouring cities of Verona, Vicenza, Treviso, the charming and romantic Venice (only 35 km far away), the fascinating Brenta river with the splendid Venetian villas and the artistic and architectural treasures such as: the 14th century Basilica of St. Anthony , the Scrovegni Chapel with its marvellous frescos by Giotto, the Prato della Valle, the 16th century Botanical Garden, the old University Il Bo , the squares and its coloured markets, the arcades, the medieval walls, the quiet of the Euganean Hills, make Padova a city to discover and the Sheraton Padova Hotel is truly all things to everyone. 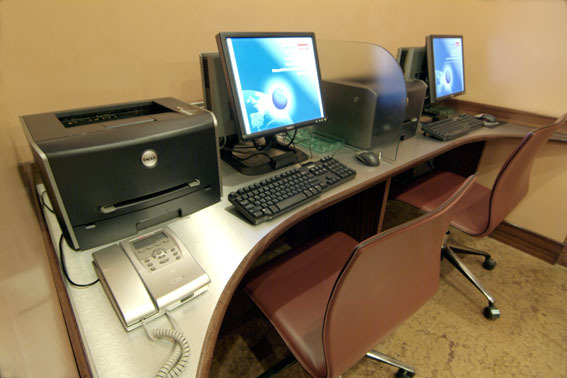 Whether on business or pleasure, we offer amenities and location you require. Approx. 2-3kms from city centre. Padova Fast exit from highway A4 Milan Venice. Nearest Station/metro: Padua Railway station -3kms. Nearest Exhibition Centre: Padova Fair -2kms. Nearest Airport: Venice San Marco International Airport -45km / 30mins drive. 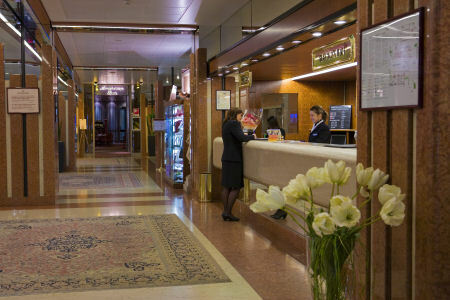 The Sheraton Padova is situated 5 kilometres to the east of the Padua Citadella walls, near the motorway that leads to Venice. 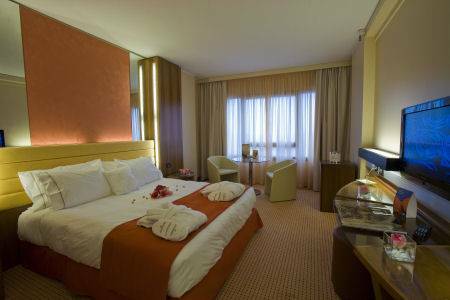 With its location in Padova, the hotel is 45 KM from Marco Polo International Airport and convenient to Venice, Verona and Vicenza. There are SITA line buses, which will take you directly to Padova at Piazzale Boschetti and from there we suggest to take a taxi. They are available there. at least one day before pickup specifying all details (Location of departure/flights arrival time/nr persons/cell phone number). For any changes or information you can contact Radio Taxi at +39 049 870 78 40 or 049 651 333. 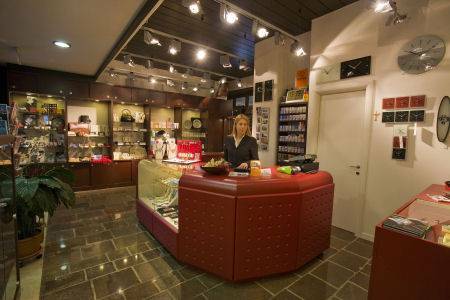 For particular transfer or pickup services we suggest you to contact the hotel directly. The hotel is situated at 3 km. In front of the Railway Station you can find taxi or you can get, at Piazza Eremitani, our courtesy shuttle-bus service, which departs at 9. 00/10. 00/11. 00/12. 00/16. 00/17. 00/18. 00/19. 00/20. 00. At the end of highway Bologna-Padova you have to keep the right side and take the A4 MILANO-VENEZIA, INTERPORTO, follow for Milano and exit at PADOVA-EST; You can see the hotel on left side.